I was in Chiapas, one of Mexico's best-preserved Spanish colonial towns. Colorful neighborhoods, wonderful people. I spent a great week here. Scroll below for photographs. Reflection of an old church in a puddle of rain water, San Cristobal Mexico. The Blues...just what I imagined houses in Mexico would like like. The perfect blend of Blue and Red. 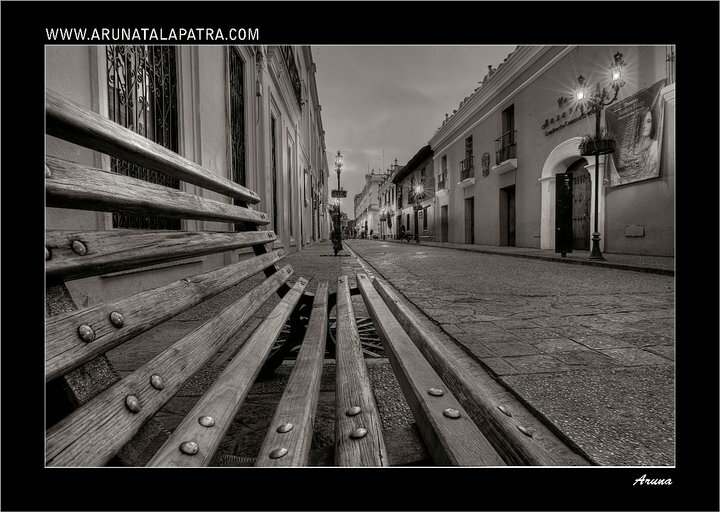 The wooden bench here gives a flow and at same time a direction to our vision.